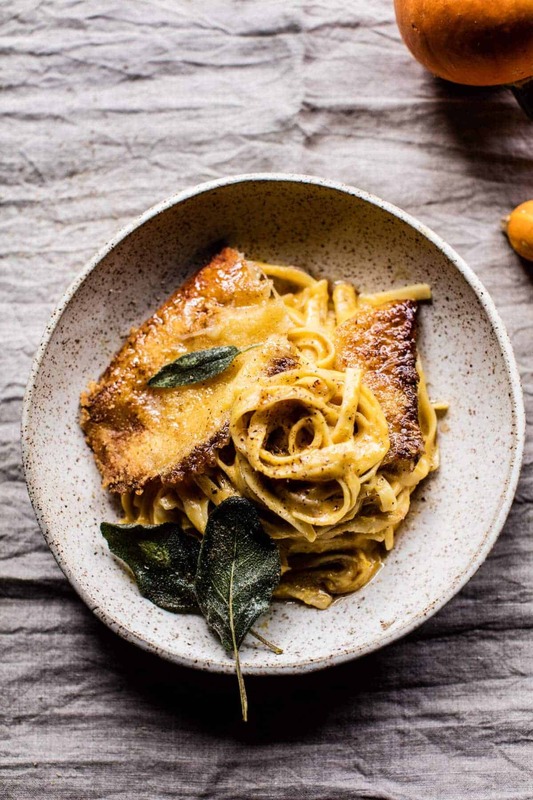 Brown Butter Pumpkin Fettuccine Alfredo with Fried Cheese + Video. Who’s down for some fall pasta? I know I’m ready. We returned home from Orlando late Tuesday night to super cold temps and a little snow on the ground. It was pretty different from the eighty-eighty degrees we were experiencing for the past three days. As I said I would in Tuesday’s post, I made these pancakes on Wednesday, they were such a nice way to cozy back up to fall, and I have plans to make this fettucine again tonight for dinner. Perfect way to ease back into things! I grew up on classic fettuccine Alfredo and whenever my brothers are in town I make my own recipe. I will not lie, it’s pretty rich, but it’s honestly just perfection. 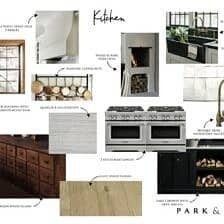 I’m going to get right into the recipe today as things are slightly crazy around here with all the catching up I need to do. Plus I feel like I may have talked your ears off over the last two days. 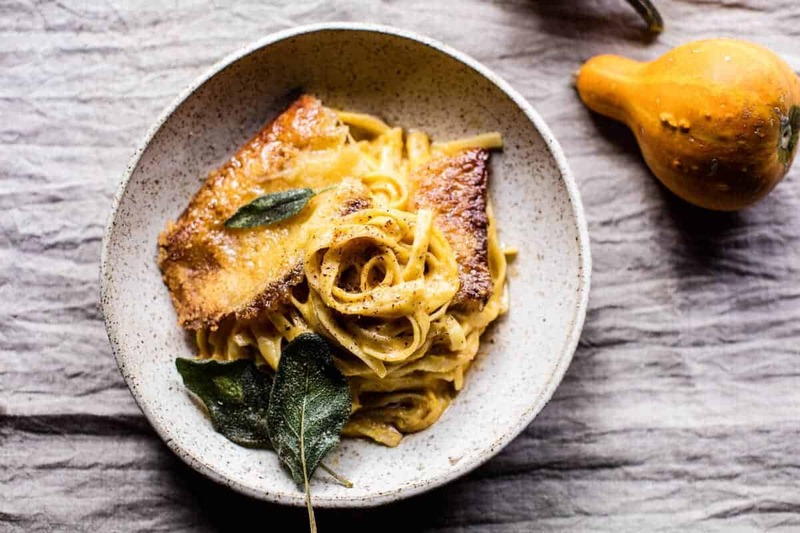 Ok, SO, here’s how this brown butter pumpkin fettuccine Alfredo works, the recipe starts out just like any other Alfredo recipe. Cream + cheese, but then we veer off the recipe page a bit by adding some brown butter, pumpkin puree, a pinch of nutmeg and raclette cheese. If you’ve never had raclette cheese, oh man, you are in for a huge treat! Raclette is a creamy melting cheese and you guys, it’s beyond delish! A little of the cheese is added to the cream sauce, but the rest is reserved for pan frying and adding to the top of your pasta. YES. I did say pan frying. Which means, fried cheese! YUM. 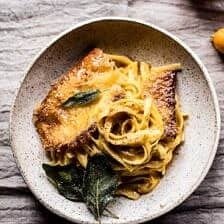 Fried cheese on top of a creamy pumpkin Alfredo sauce over pasta… yeah, I think you can see why this will easily become one of your favorite fall pastas. 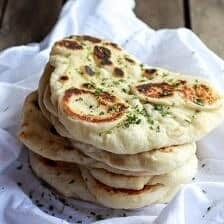 It’s quick, easy and so good!! If you cannot find Raclette cheese, I think something like brie or swiss cheese would also work. Then just top off with a little fried sage and dinner equals done. Perfect for a Thursday night, or maybe a Friday night? I dunno, but I’m thinking this will be delicious any night of the week! Heat a large skillet with sides over medium high heat. Add 4 tablespoons butter and allow the butter to brown, stirring often, about 3-5 minutes. Add the garlic and cook 15-30 seconds or until fragrant, then slowly pour in the milk, heavy cream, and pumpkin pure. Whisk until smooth. Bring the sauce to a gentle simmer and cook 5-10 minutes. Stir in the pecorino romano, 1 cup raclette and nutmeg. Season with salt + pepper. 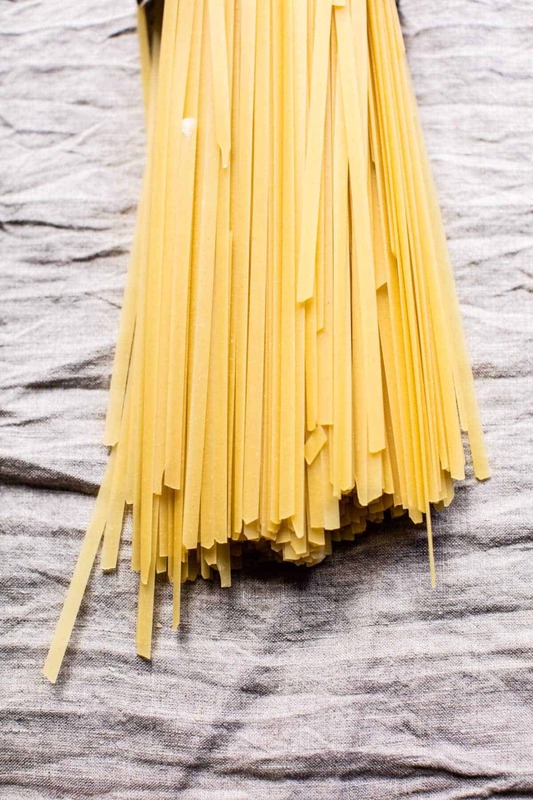 Boil the fettuccine until al dente. Drain and add directly to the pumpkin Alfredo sauce. Cook until warmed through, about 5 minutes. Meanwhile, heat a skillet over medium heat and add 2 tablespoons butter. Add the the raclette cheese slices and cook 2-3 minutes per side or until a crust forms and the cheese has "fried". Remove the cheese from the skillet and add the sage, fry 30 seconds. Remove the skillet from the heat. 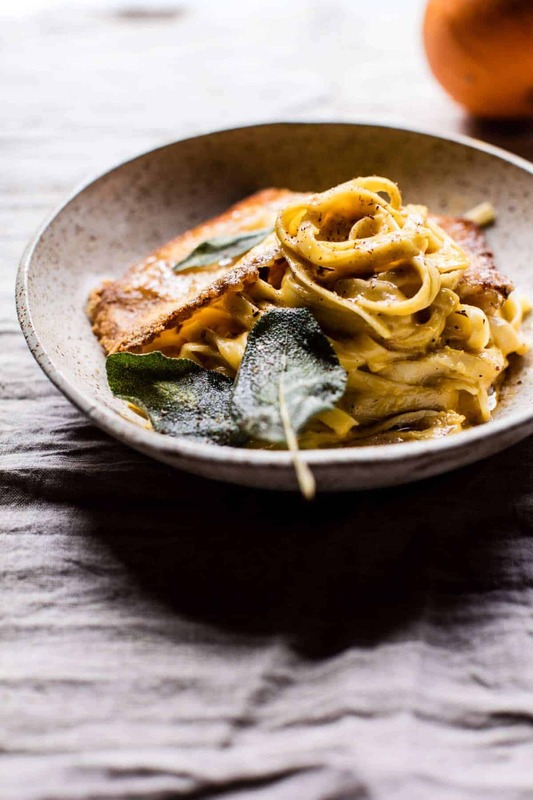 Divide the fettuccine among plates and top with fried cheese + sage. Drizzle with any browned butter left in the pan. Eat! Cheese, butter and pumpkin? Yes, please! 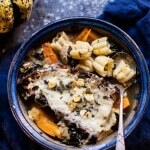 Italian Pumpkin and Kale Chicken Noodle Soup with Fontina Toast. ~In your list of ingredients, you make reference to 1/2 cup of raclette and four thin slices. In your instructions, you make reference to stirring in pecorino romano, 1 cup of raclette and nutmeg. HI, glad your FL trip was fun!! Looks delicious, how much fettuccine? Thanks for cheering me up with recipes, I’m sad to see summer go. Thank you so much, Lori! It is 1 cup fettuccine! 🙂 Let me know if you have questions. Oops, so sorry! Not 1 cup, 1 pound fettuccine is needed for this recipe!! Perfect!! I hope you and your mother-in-law LOVE this dish and it goes perfectly!! (: Thanks Amanda! Love the addition of pumpkin in this dish! Looking forward to making it Tieghan! YAY! I hope you enjoy it, thanks so much Kathy! Haha ya difinietly. Anyway, thanks so much Sheila, I am so happy you are enjoying this dish! Love fried sage on top of squash dishes! I started growing sage in my garden just for that purpose! The raclette on top of this is so decadent! Yum! Thanks so much Ramona! And fresh sage sounds awesome! 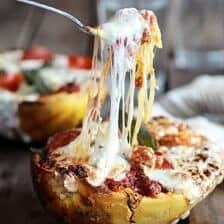 Melty cheese, fried cheese AND pasta? Dying. This is getting pinned so hard. Woohoo! So happy you are loving these!! Thanks so much Kelly! 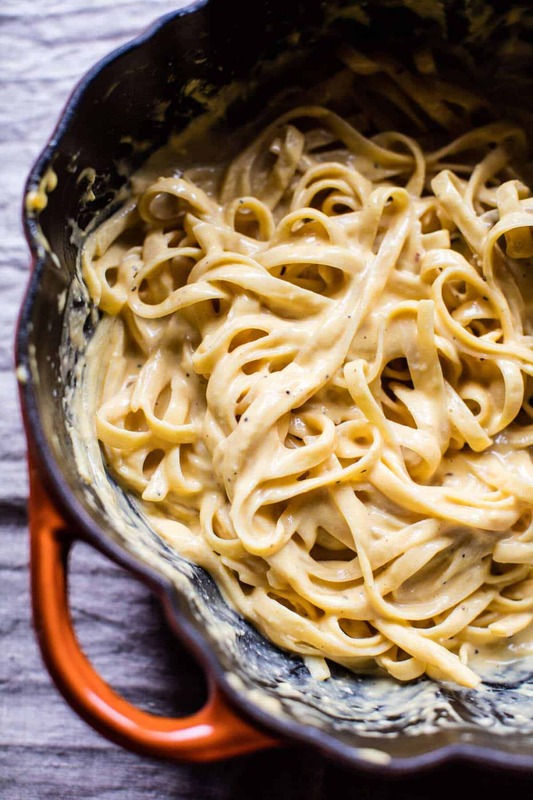 Creamy pasta is just the ultimate comfort food, isn’t it? I am definitely on board with this version of Alfredo. Yum! Yay! Thanks so much Alida!! Looks delicious! Could you tell me who makes those bowls? So ready for fall pasta. Especially when you combine butter and garlic with pumpkin and sage. Sooo good! Haha well if you do, I hope you love it Christine! Thank you! I’m assuming a pound of pasta? It isn’t listed in the ingredients! Gosh, that looks good! I must try this! Awesome! I hope you love them Jena, thanks!! Cool! Thanks so much, I’ll have to look into this! You hit this outta the park! So good! Thank you Mick!! So happy you are enjoying this recipe! 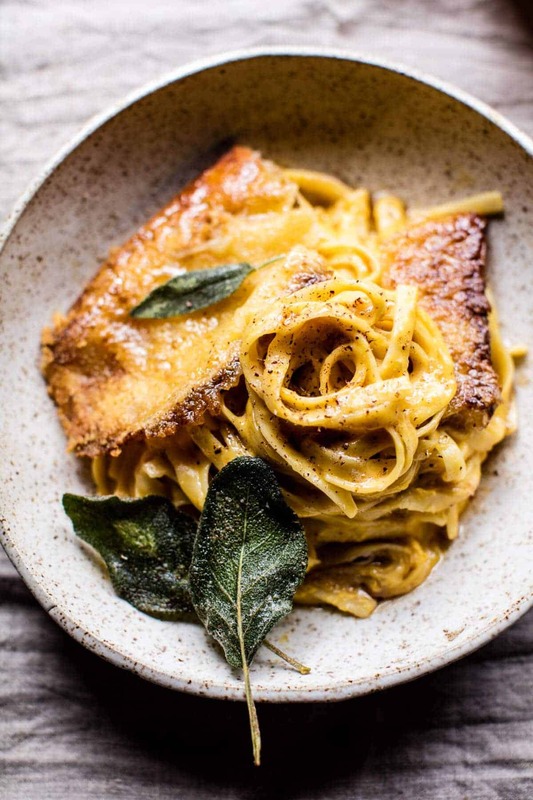 Fried cheese on pasta?! YES! 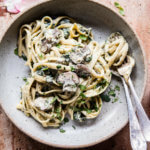 I’ve been craving a hearty pasta dish for fall, this is so perfect!! Perfect timing then! Thank you Phyllis!! That orange roasting pan is beautiful!!! 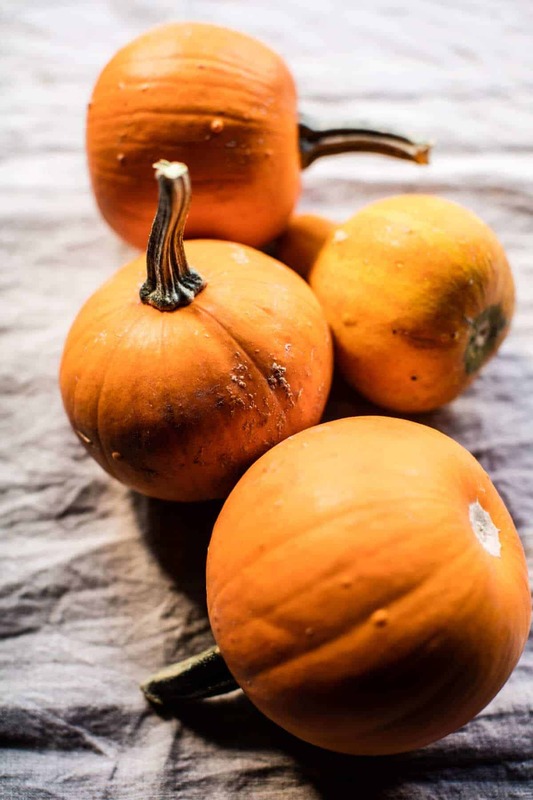 All things pumpkin and browned butter! I love it!!! Thank you Jessica! 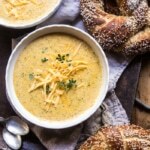 SO happy you are loving this recipe! 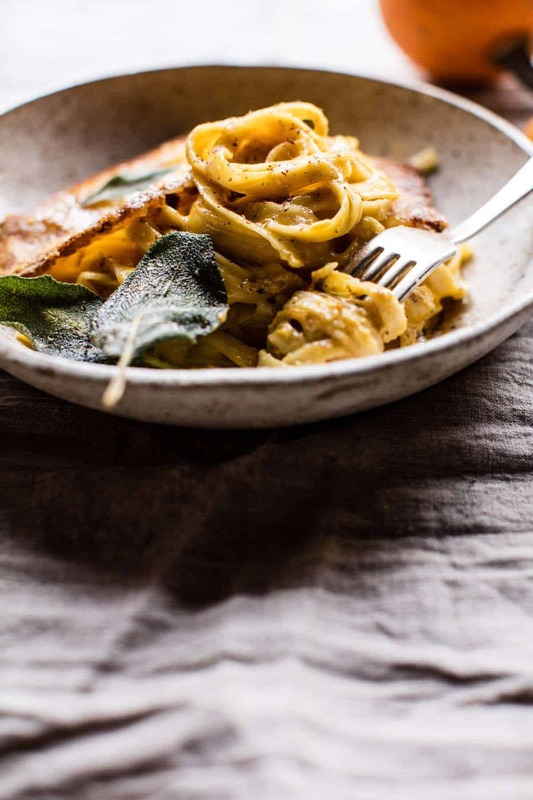 Yes I’ll be making this pasta dish–but maybe with a little less cheese. I need to cut back but can’t give up my pasta. Well I hope you love it Nancy!! Thank you! 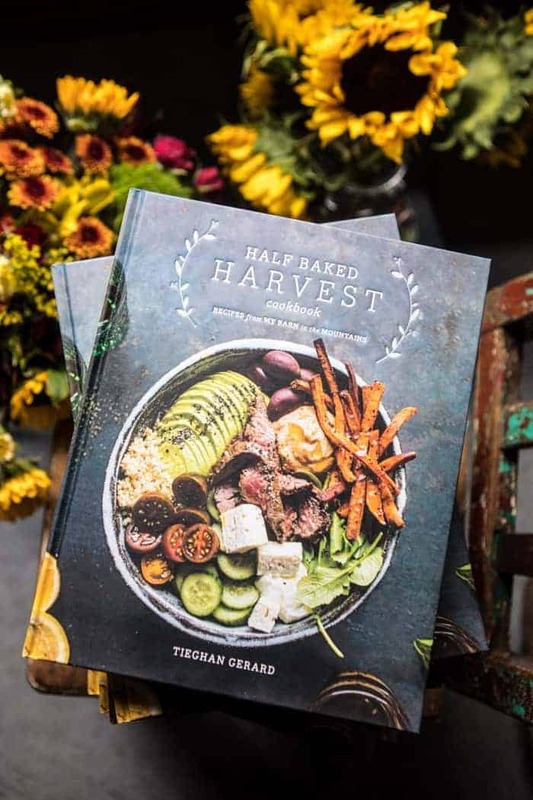 Tieghan, who were your winners of the pumpkin pot you were giving away last week? Just curious. Thanks. Gaaaaahhh! Where has this blog been all of my life??? This is SO our kind of food! My husband is literally out shopping for ingredients as I am typing this. I don’t want to sound dramatic (yeah right!) but I have been reading your blog for 4 hours and I need to go lie down……. Haha wow! Thank you so much! 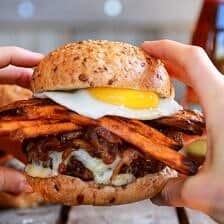 I hope you love this recipe and every other one haha! 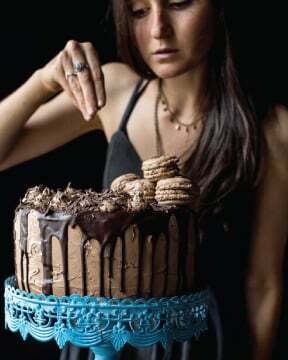 This looks delicious, can’t wait to try it. By the way, love the bowl you are using, may I ask where you purchased it? Thanks! Soooo we just made this recipe and are kind of divided over it (as in “love it but also want to die right now”). Let me explain myself. We followed the recipe almost to a T, just added 1/2 cup pumpkin purée and cut back on the butter a bit (as in 4,5 tbsp butter instead of 6). Oh and we skipped the browned butter drizzle, big no-no for us :/ So we reaaaaaally liked it, but still found it way too heavy. Oops, sorry it was a little heavy for you. I definitely do not go light on the cheese. Thank you! Great that you got back from Orlando and had a swell time! 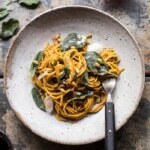 Now I absolutely ADORE pumpkin, so I’d figure that pumpkin pasta would taste delicious! This looks beautiful as well. The swirls of the noodles resemble just like that of a rose! This really was beyond delish!!!! Thanks for another incredible recipe as always. Thank you Ruthy! I am so glad you liked this!